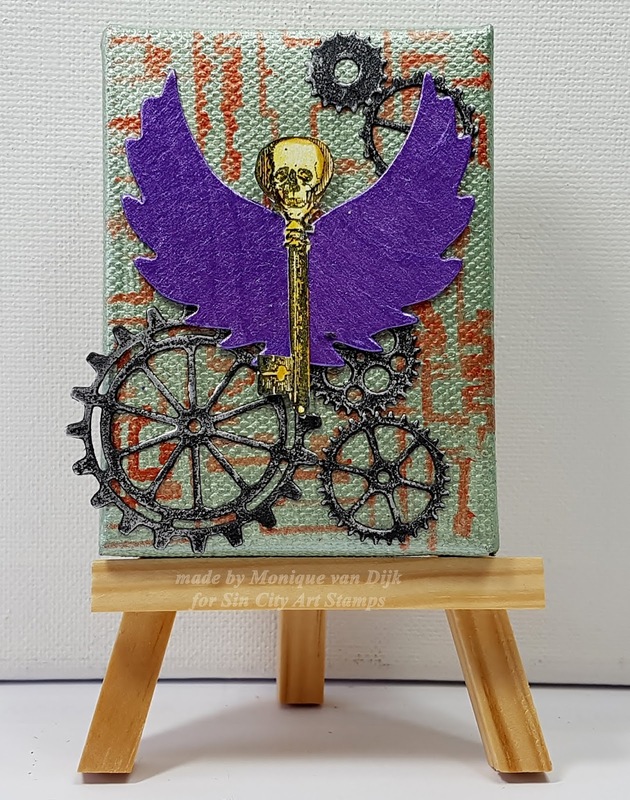 Hi All, today I am going to show you how to make this steampunk canvas. 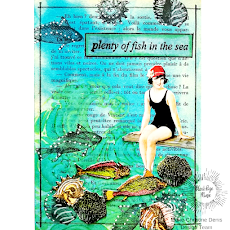 The canvas is ATC sized so very small, that makes it a quick and easy but (very) fun project! Step 1- Paint the canvas in metallic green and let dry. Step 2- Use a stencil to create a background using the copper metallic paint. Step 3- Die cut the gears and the wings, and stamp the Skeleton head on vintage key stamp onto white cardstock. Step 4- Paint the wings metallic purple. 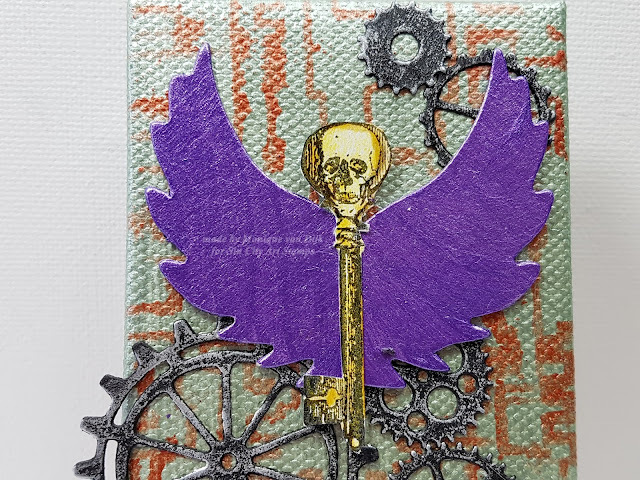 Step 5 Color the Skeleton head on vintage key stamp and cut it out. Step 6 - Add some silver wax or paint to the gears to give them a metal look. Step 7 -Adhere all parts to the canvas like in the picture. For more inspiration with Sincity stamps, pls visit our Facebook page - or the Sin City Fan page, you are very welcome to post your projects using Sin City Stamps there so everyone can see them. Heheheh - so fun Monique. It reminds me of a bicycle and he doesn't even need to peddle - the wind beneath his wings will push him home!!! Love the Dazzling Metallics shimmer!! Xj.